I am from Trieste, a little town in the North East of Italy, a region called Friuli Venezia Giulia. It was my mother that first saw my passion for food and cooking and she decided to support me in my decision to begin my career in the hospitality industry. After 28 years in kitchens around the world I have established myself in Thailand, in Hua Hin with Andrea’s Italian Restaurant & Grill that has open in November 2014. In my early days my experience came from many famous restaurants and pastry shops in Italy and around Europe. I attended many courses and seminars. I am a passionate chef that has always been interested in learning new techniques and because of this I have collaborate as a consultant with food companies. 1999 – I had the honour to be part of the kitchen team of Gualtiero Marchesi, the first Italian chef ever awarded 3 Michelin stars. It was a mind opening experience that gave me the opportunity to discover the art of fine dining Italian food. 2000 – Cristian Beduschi, of the Italian pastry team, that has won the Pastry World Cup in Lyon, France in 1997 gave me the opportunity to collaborate as one of his team members. Cristian’s love for the finest art of party gave me the chance to understand and appreciate the research of perfection in recipes, techniques and ingredients. 2002 – I was offered the opportunity to go back in the kitchen in charge of the newly opening 5 star Hotel Cristallo in Cortina d’Ampezzo. This was an exciting challenge and would be the very first time I would be in charge of a large kitchen operation. It was an experience that I will never forget. 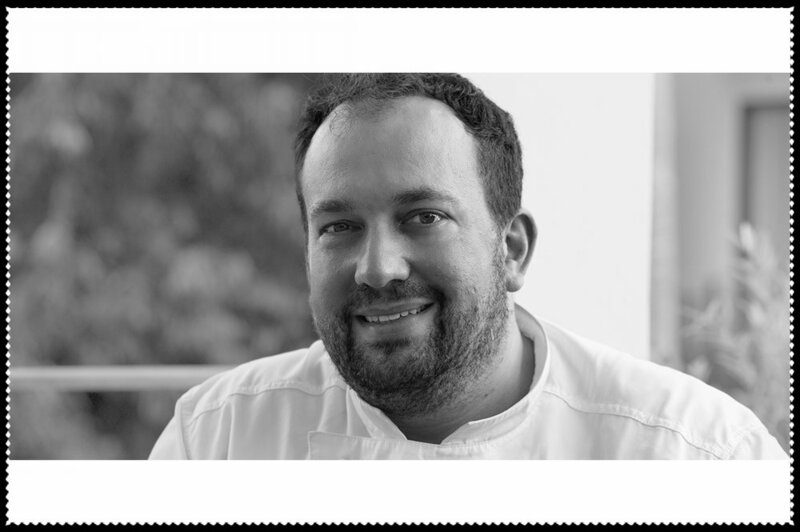 2003 – Pursuing my dream to live and work in London, I had the fantastic opportunity to become part of the kitchen team at the famous hotel, The Dorchester, under the direction of the Executive Chef Henry Brosi. 2005 – I was asked to join a new opening restaurant in Bangkok Thailand, Fallabella, part of the prestigious Royal Bangkok Sport Club in charge of the main kitchen and opening of 3 outlets. First approach to Asia and first time cooking outside Europe. Here where I felt in love with Thailand and Thai people. 2007 – I opened a catering company with two famous Italian restaurateurs, Gianni from Gianni’s Restaurant and Gianmaria from Zanotti restaurant. 2009 – La Grappa Italian restaurant in Hua Hin welcomed me as their Chef Patron & Partner. I enjoyed taking charge of an unknown restaurant in Hua Hin and turning it to become one of the most popular in Thailand. I spent 5 years with La Grappa, building up their reputation with the customers and critics, however, towards the end it was time for me to move on to my big dream. 2012 – Our first child is born, Rafael, came in to our lives on 19th May and we could not be happier or prouder parents. 2014 – Andreas Italian Restaurant & Grill is born, my very own restaurant. The building belongs to The Lapa Hotel. A big thank you goes to the Thiengtham family that have welcomed me in to their home. Andreas restaurant was thanks to a collaboration of friends and family that have given their ideas and help. I could not be happier and I’m looking forward to welcome you all in to my new maison. The future is bright and I have many people to thank, my mum and dad that have given me the passion for food and cooking and for their unconditional love and support, the two very important ladies in my life, my sister Silvia and my wife Kaewta, whom I thank for their love, passion and support, all my friends around the world and in Thailand, who have touched my life and given me so much, and last but by no means least, all of my customers that have believed in me and followed me in my new dream.